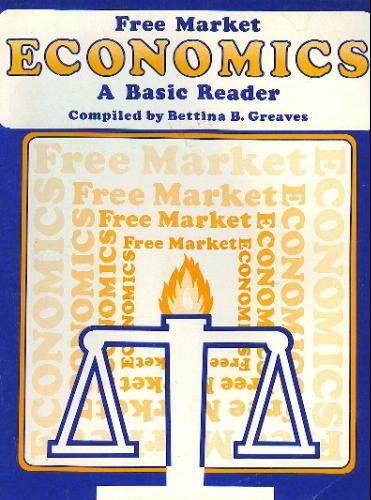 Bettina Bien Greaves put this volume together as a one-stop primer in economics that includes the best economic writing she had run across. In some ways, the choices are brilliant. They are arranged by topic to cover the division of labor, prices, profits, property, competition, saving and investment, environment, antitrust, money and banking, advertising and marketing, and more. It is said that this book is the best introduction to economic logic ever written. Carl Menger elucidated the precise nature of economic value, and rooted economics firmly in the real-world actions of individual human beings. The book should help teachers of high school economics explain economic principles in the classroom. It contains many suggestions for explaining economics to younger students, as well as material to challenge older students and even adult readers. This high-school text teaches the intelligent young reader how to think about economic problems. Its chapters on action, preference, demand and supply, value theory, money, and price controls emphasize deductive logic and the market process. Online textbook for introductory economics. It is an easy-to-read approach to economics with lots of interactive problems and questions. It can be used as a textbook for college or advanced high-school courses. It is also a useful reference.